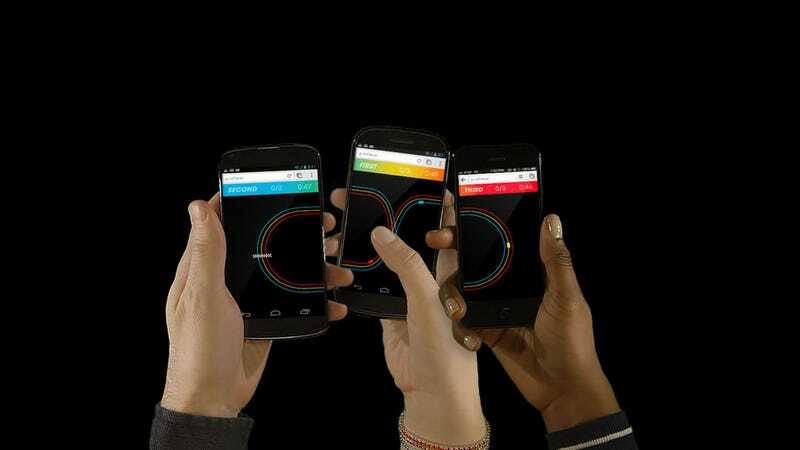 Yesterday, Google showed off Racer, a simple game which could be played across multiple, competing devices like an iPad, Android phone and iPhone. Like, literally played across them; you can line up the screens and the track reaches across them all. Sounds like a pipe dream, but it works, and it's out right now for you to try out. OK, so they're cheating a little bit by making it a web-based game, and not an actual application, but still, the effect is awesome.